Learn how instantly boost your confidence and quickly change a negative outlook. This ebook will reveal how you can find so much confidence inside yourself that you will be able to be the person you have always wanted to be and do the things you most want to do. 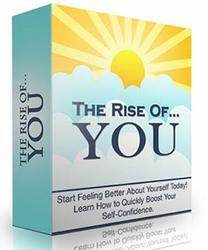 You will learn what true self-confidence is and how to nurture yourself so that you stop the habits that sabotage you and start building the mindset that will grow your self-confidence.